Becoming a coinage town was arguably one of the most significant milestones in the history of Penzance. Before 1663 tin produced in Penwith and Kerrier had been taken to Helston to be coined but as the charter granting coinage town status to Penzance observed, “the greatest part of the tinne now and for some yeares past gayned within our said Stannery of Penwith and Kirrier is and hath byn soe gayned in places within the said Stannery very farr distant and remote from Helston”. The elevation of Penzance to coinage town was therefore a recognition of the reality that Helston was too far from the mines now in production and also that the roads, particularly in winter, made transporting tin to Helston both inconvenient and costly. Coinage was essentially a tax on tin. The mechanism for gathering the tax involved sampling, or coining, smelted blocks of tin, the samples were assayed, the block weighed and the dues calculated. Once the dues had been paid the block was stamped with the Duchy seal and only after this could the tin be sold. In order to run an efficient tax collection system the coinage operation was centralised, all tin had to be taken to a coinage town to be coined and the town where it was taxed became the place where it was also sold. These blocks of tin weighed about 300 pounds (136 kilos) so transporting them around the county was not a very viable option. Tin mines do not produce tin metal, they mine ore and process it into tin concentrate which then has to be smelted to produce the tin metal. The smelters set up their works around the coinage towns for convenience and for the efficient regulation and taxation of the trade. So, winning coinage town status brings big economic benefits: the smelters congregate around the town and bring employment; the carriers bring the tin concentrate to the smelters and require services for themselves and their mules; the coinage hall provides a focus and meeting place for those in the trade; the coined tin is bought and sold by smelters and merchants who require food, accommodation, transport and financial services; the tin has to be transported away from town requiring shipping and organised quays; those quays then become the delivery point for mining materials such as timber and machinery. In short, the coinage town becomes the economic centre for the mining business. Before about 1700 the mechanism for converting tin concentrate from the mine into tin metal was the blowing house. These were charcoal fired with water powered bellows to generate enough heat to do the job. The construction of blowing houses near Penzance would have been a matter of some urgency in 1663 and these were built at Ludgvan and Chyandour. The Calendar of Treasury Books provides details of blowing house supervisors and the houses for which they were responsible. On 31 August 1680 in a letter from the Privy Seal to the Treasury Lords the Receiver of the Duchy of Cornwall is instructed to pay the four supervisors of tin blowing houses in Cornwall £80 per annum each. One of these four is George Treweeke who is responsible for Godolphin, Ludgvan, Chyandour and three blowing houses in Wendron. 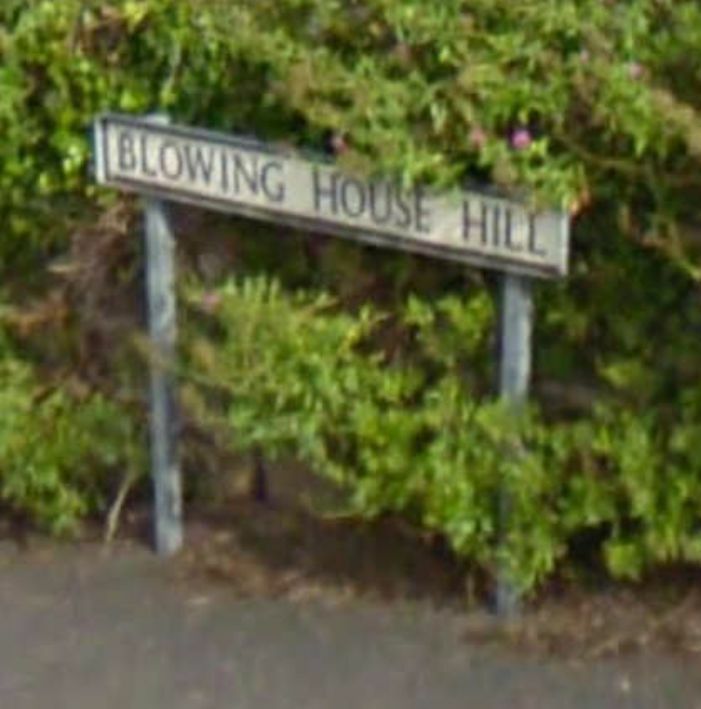 Subsequent entries reveal only changes in personnel but no new blowing houses during the 17th century. By 1725 the picture has changed dramatically and the details are provided by Henric Kalmeter in his journal. Chyandour now has four reverberatory furnaces having been converted from a blowing houses in 1717. 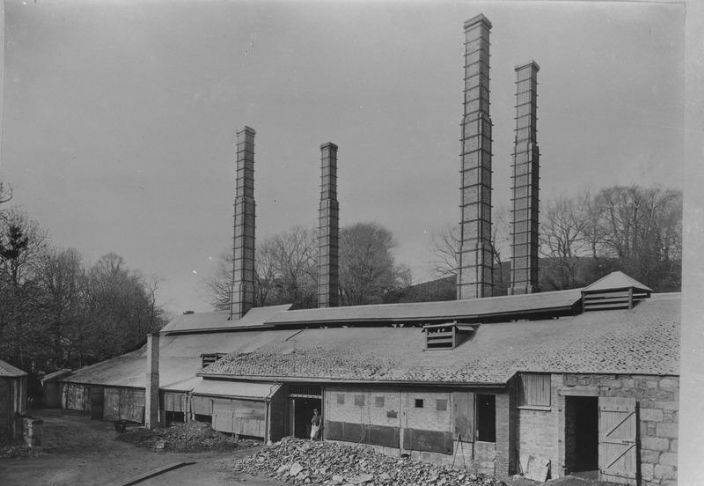 Ludgvan has has two reverberatory furnaces opened in 1724 to replace the old blowing house. Treloweth, at Rose an Grous, has three reverberatory furnaces erected in 1720 and lastly, Trereife has four reverberatory furnaces dating from about 1716. In addition there are now three furnaces at Lelant and six at Angarrack, both of which might well have sent tin to Penzance to be coined. Not only has the technology changed to meet the demands of lode mining but the capacity has increased hugely. Kalmeter gives a figure of 1,120 ingots (about 160 tons) coined in Michaelmas quarter. There is also mention made of a smelter or blowing house known as the St Just House, in Madron. This is mentioned in 1739 in a list of active sites while in 1719 a lease on a property in Polgoon is described as the old blowing house. This is of interest since much of the tin being coined in Penzance would have come from St Just and for a time the Polgoon blowing house must have been blowing St Just concentrate. The lease suggests that it was no longer operating by 1719 and one has to suspect in 1739 it was a “ghost works”, on the list merely to maintain the supervisor's income. The switch from blowing houses to reverberatory smelting would have brought another change for Penzance; all the smelters would have required large quantities of coal which would have been brought from south Wales and Chyandour and Trereife would certainly have had their supplies brought into Penzance. The Chyandour smelter in particular would remain in big presence in Penzance for the next two hundred years and be a focal point of the business dynasty which came to dominate the town in the 19th century, the Bolitho family. The new coinage town required a business premises and the letters of 18 August 1683 grant liberty to: William Godolphin of Trewarveneth esquire; Martin Maderne, Thomas Grosse, Nicholas Sherme and John Keygwin all gentlemen of Penzance; John Tremenheere gent., Walter Finney, Thomas Benver, Richard Veale and Edmund Davy all of Ludgvan; John Lanyon of Sancrett; John Usticke, John Burlace [Borlase], Charles Usticke, and Richard Edwards all of St Just; to erect a new coinage hall in Penzance. By the end of 1664 this had been completed and the coinage hall remained a feature of Penzance, at the top of Market Jew in front of the Market House, until 1816 when a new hall was built by the quay, in the process lending its name to the new Coinagehall Street. The Kalmeter Journal was translated into English by Justin Brooke and published by Twelveheads Press in 2001.